BACK TO THE BOMBING, that is, back to 1969. The Milan bombs on 25 April 1969 injured only a few people. The same was true of the train bombing on 9 August. These devices had all used the same sort of Ruhla brand timer. The same brand, which a strange fellow had bought in batches of, three and four from the Standa store in Treviso. But the first one put to the test had failed. On 24 July a bomb in Milan’s Palace of Justice failed to explode so the terrorists called in an expert. Franco Freda had an electrician Tullio Fabris (who had installed some chandeliers for Freda in his studio in the Via San Biagio in Padua) explain to him how to connect up an alarm clock to a resistor that would then light storm lamps. Fabris gave Freda a technical run-down, which he tested out on the trains. The experiment worked: eight out of ten bombs exploded. The two, which failed to explode, had used Ruhla timepieces. The next step was to switch to timers. Freda, through Fabris, ordered 50 60-minute timers from Elettrocontrolli in Bologna. On 19 September Freda travelled to the Bologna with Fabris to collect the Junghan-Diehl timers. New gear, new trials. Lesson one: Fabris showed Freda (even prior to buying the timers) how to connect the battery, chromium-nickel wire and storm lamp to a timing device. Having seen the results for himself, Freda had Fabris buy a length of the wire. Lesson two: after collecting the timers, the electrician gave Freda and Ventura a quick run-down on timing devices and their use. Freda studiously took notes. Lesson three: Under Fabris’s supervision, Freda and Ventura twice assembled a device. The trial went perfectly. Everything was now ready for the big one. In fact the bag containing the unexploded bomb left at the Banca Commerciale Italiana in Milan’s Piazza della Scala was found to contain the dial from a Junghans-Diehl timing device. The bag was one of a batch made by the German firm of Mosbach-Gruber and imported into Italy. The bags used in the bombings were of two sorts: the brown City 2131 and the black Peraso 2131 models, and in Italy only three firms sold both sorts — Biagini in Milan, Protto in Cuneo and Al Duomo in Padua. When the owner of the Al Duomo luggage shop, Fausto Giuriati, saw the photo of the bag in the newspapers and on television, he rang police headquarters. It took a few days before someone from the police called at his shop. Loretta Galeazzo, his shop assistant, said she had sold four bags of that sort to a well-dressed young man on the evening of 10 December. The Padua police forwarded a report to Milan police headquarters and to the confidential affairs bureau at the Interior Ministry, but it was three years before anyone called back to the Padua city centre shop. Even then it was not on any instructions from Milan or Rome. Who came to call? It was Carabinieri Alvise Munari, making inquiries on behalf of examining magistrate Giancarlo Stiz in Treviso. Let us remain in Padua — the day before the bombings. Here is a reasonable reconstruction of events based on what we know so far. Freda, by now an expert thanks to Fabris’ training, put the explosive devices using the gelignite obtained by Delfo Zorzi, and wired them up to the Junghans-Diehl timers. He placed them in the bags bought from the Al Duomo shop in Padua and in another bag. He then passed the bags to the people whose job it was to transport them. Zorzi then left for Milan where members of Giancarlo Rognoni’s La Fenice were waiting for him. They were to provide the operational base, a flat near the Piazza Fontana. 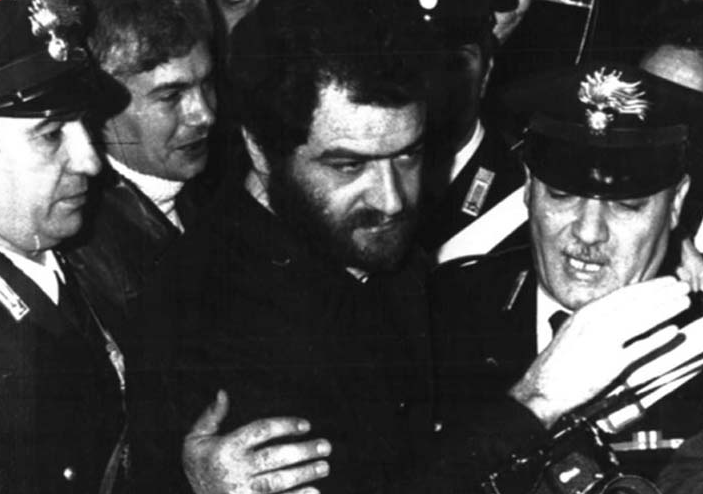 Ventura on the other hand travelled to Rome to deliver his device to comrades from the Avanguardia Nazionale, answerable to Stefano Delle Chiaie. On the afternoon of 12 December 1969 two bags containing two gelignite bombs wired up to Junghans-Diehl timers were planted in the Banca Nazionale dell’Agricoltura in the Piazza Fontana and the Banca Commerciale Italiana in the Piazza della Scala. A further device was planted in the underpass at the Banca Nazionale del Lavoro in Rome and two more at the tomb of the Unknown Soldier in the Piazza Venezia. The Ordine Nuovo and Avanguardia Nazionale members had carried out their mission almost to the point of perfection. The only hitch was the failure of the device left at the Banca Commerciale in Milan, but lo and behold, along came expert Teonesto Cerri, as we have seen, who destroyed the incriminating evidence. But not completely. In the confusion he forgot to blow up the dial of the timer left behind in the bag. It was that timer that would betray the Freda group and its partners. Only five were ever used, the others were passed to Cristiano De Eccher to hide them. De Eccher, a descendant of a noble family of the Holy Roman Empire, had a castle in Calavino near Trento. In 1969 he was 19 years old, a member of Avanguardia Nazionale, a Padua University student and in close contact with Freda. He was one of the few people with whom the aristocratic Freda used the familiar form of address, perhaps because of De Eccher’s ancient aristocratic lineage. So De Eccher was a point of contact between the two Nazi groups. De Eccher hid the timers, but he was more loyal to Delle Chiaie than to Freda and was never to hand the timers over again. So much so that he provoked fury in the Paduan prosecution counsel who complained to a fascist colleague, Sergio Calore, “about being let down by a baron of the Holy Roman Empire”. Since Freda could not deny having bought the timers, he claimed that he had passed them to a certain Captain Hamid from the Algerian secret services that supposedly asked for them to use in attacks on Zionist targets. Spectacularly, the judges believed this, not at all disturbed by the fact that the Israeli secret service, Mossad, stated that no Captain Hamid existed. The judges appeared to believe that it was perfectly plausible that an Algerian agent should have approached a law officer in Padua to obtain timing devices. Meanwhile the electrician Fabris made only partial admissions to the court. Why? He had been threatened three times into keeping his mouth shut — twice by Massimiliano Fachini and again by Massimiliano Fachini in the presence of Pino Rauti. In fact the timers had not gone to Algeria. They remained in the care of De Eccher who was under the protection of carabinieri Colonel Michele Santoro. Some ended up with the La Fenice group in Milan and some with Avanguardia Nazionale in Rome, which had used a few in the attacks on the Reggio Calabria express trains on the night of 21-22 October 1972. In 1973 La Fenice group militants prepared a plan to plant a few of these timers in a house belonging to Giangiacomo Feltrinelli (found dead in Segrate in March 1972) The house — in fact it was a chateau in Villadeati in the Monferrato— was the property of the Feltrinelli family who scarcely ever used it. A few militants from Giancarlo Rognoni’s group were to break into the chateau and hide the timers before tipping off the carabinieri. The purpose of all this was to steer the Piazza Fontana investigations back to the “red trail”, at a time when D’Ambrosio was zeroing in on the fascists. But the scheme had to be shelved because Rognoni found it too far-fetched. Two years earlier, Martino Siciliano and Marco Foscari from the Venice Ordine Nuovo had turned their attentions to Feltrinelli. Foscari had a family home in Paternion in Carinthia (Austria), not far from a chalet belonging to Sibilla Melega. Feltrinelli, whose was on the run at the time, often hid out in the chalet and it occurred to the two Ordine Nuovo members that they might kidnap him, ferry him back to Italy and leave him for the police to find. So, armed with hunting rifles, behind the wheel of an off-road vehicle and accompanied by Foscari’s gamekeeper, a former Waffen SS member, off they went to grab Feltrinelli. They also had a bottle of ether to help them subdue the publisher, rope to tie him and a trunk in which to ferry him over the border. But their plan was improvised and they were out of luck: “We had no problems locating the property where the chalet was, but Feltrinelli was nowhere to be seen and, anyway, the chalet appeared locked up. So we abandoned the plan as readily as we conceived it”, Siciliano recalled. So much for the timers. Now to the gelignite. The bombings on 12 December 1969 did not use all the explosives; some were used later by the Venice Ordine Nuovo group. 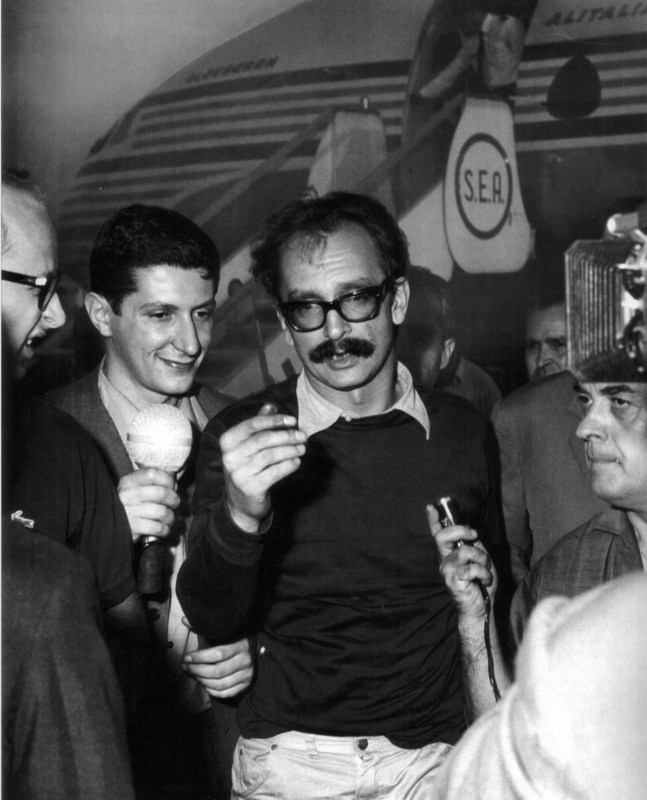 Mestre, 27 October 1970. Siciliano was putting together a time bomb, but unsure as to whether or not he had primed it correctly, it occurred to him to connect to a shared fuse wired to the gelignite. Piero Andreatta planted the device, which exploded, outside the Coin store in the Piazza Barche. But the gelignite was used also in more telling and more lethal bombings. Delfo Zorzi handed Marcello Soffiati from the Verona group a bomb assembled using some of the explosive which he took to Milan where he handed it over to members of the Milanese Squadre d’azione Mussolini (SAM) (Mussolini Action Squads) who, in turn, sent it on to Brescia. 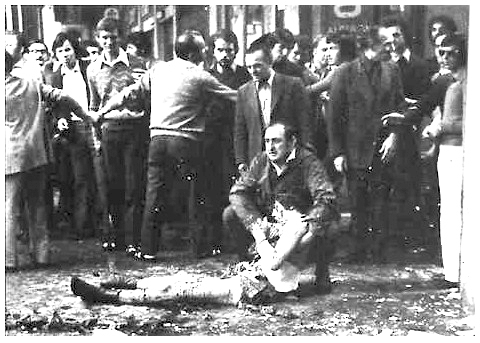 This bomb exploded at 10.20 am on 28 May 1974, during a demonstration sponsored by the Brescia United Antifascist Committee and the trade unions in the Piazza della Loggia in Brescia. 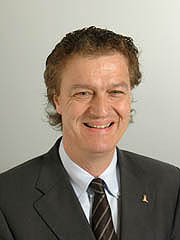 It went off during a speech by Franco Castrezzati the provincial secretary of the FIM-CISL. Eight people died and nearly a hundred people were injured. This incident triggered a falling-out in Ordine Nuovo ranks and relations between Zorzi and Soffiati deteriorated to the point where they became enemies. Soffiati could not forgive his Venetian colleague for implicating him in an operation of such significance, especially one that departed from the strategy adopted hitherto — planting bombs that could be blamed on the left.